Sawyer Brown’s eponymous debut album, released in 1984 was their highest charting entry on the Billboard Country Albums chart, peaking at #2 and he most successful of their 1980s albums, in no doubt aided by their winning appearance on Star Search. It was produced by Randy Scruggs and spawned three hit singles: “Leona” (#16), “Step That Step” (#1) and “Used To Blue” (#3). The first two were catchy uptempo numbers that set the template for most of their subsequent singles for the next several years. “Used To Blue” proved that they could also handle ballads, though they were not generally associated with ballads in those days. In addition to writing the band’s first #1 hit, the fluffy but catchy “Step That Step”, lead singer Mark Miller also wrote “Broken Candy”, a very nice ballad about heartbreak, loneliness and trying again. 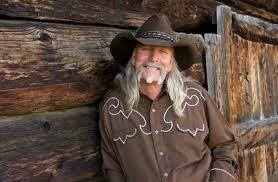 He also co-wrote the uptempo “Feel Like Me” and “It’s Hard to Keep a Good Love Down” with Randy Scruggs. Some impressive names appear among the songwriting credits: the bluesy “Used To Blue” was written by Fred Knobloch and Bill LaBounty, “Smoking In The Rockies” — which they had performed on Star Search — was written by Buddy Cannon, Gary Stewart and Frank Dycus and “Staying Afloat” was a Don King co-write with J.D. Martin. Sawyer Brown’s origins can be traced to its members’ stint as Don King’s road band. “The Sun Don’t Shine on the Same Folks Every Time” — one of the more country sounding numbers was co-written by Mark Gray with Danny Morrison and Johnny Slate. Gray had secured a record deal with Epic around the same time and is best remembered for “Sometimes When We Touch”, his duet with Tammy Wynette. Although the album is not particularly country sounding for the most part, it is well within the realm of what was considered country at the time. Although there are no fiddle and steel and just an occasional touch of harmonica, the album is not overproduced like a lot of other music from that era. Only occasionally do the synthesizers betray the album’s age. Sawyer Brown was not particularly taken seriously by the industry at the time and was somewhat unfairly labeled as a “bubble gum” band. It’s true that there’s nothing here as deep as “The Walk” — a big hit that they would enjoy almost a decade later — but the rest of the album is neither more nor less lightweight than anything else that was on the charts at the time. It is a highly enjoyable and solid first effort that for the most part has aged well. Dean Dillon wrote this for his old duet partner’s comeback attempt in 1988. 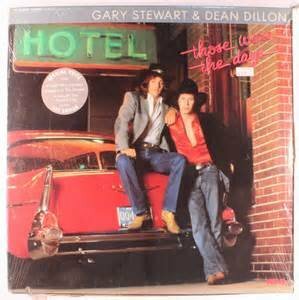 RCA gave the duo of Gary Stewart and Dean Dillon another chance to break through, although they were relegated for their second release to a six-track EP known as a mini-LP, which the label was using in the mid 1980s as a marketing manoeuvre for new acts. Stewart and Dillon were actually one of the first acts to release one, and the series later launched the careers of the Judds, Vince Gill and Keith Whitley. Dillon wrote or co-wrote all six songs, many of them with Stewart. The reflective title track was the album’s lead single, and it got some radio play but did not crack the top 40. It is a pair of hellraisers’ wistful look back at teenage memories of a time when “dreams could still come true”. It is a pretty decent song (written by the duo alongside Rex Huston), although the vocals are a bit messy. It seems oddly appropriate, given the pair’s reputation as heavy drinkers, that one of the fondest memories is of getting drunk for the first time. The second single (the duo’s last), ‘Smokin’ In The Rockies’, is a fast paced celebration of the pair’s life as touring musicians. A live cut, it namechecks a number of the top country stars of the period. It is quite entertaining, although the lyrics are hard to make out at times. It was written by the duo with Frank Dycus and Buddy Cannon, and was later covered by Sawyer Brown. The rebellious ‘Misfits’ is dominated by wailing (and not always comprehensible) vocals and equally wailing fiddle. The mid-tempo ‘Living On The Ragged Edge’ is a solo Dean Dillon composition about those straying from the strait and narrow path at risk to themselves. He takes the lead vocal. The best song on the album, ‘Hard Time For Lovers’ is an excellent if very downbeat song (which Dean revived for his solo album debut at the end of the decade). A string arrangement is a little too sweet, but Dean Dillon’s delicate vocal is his best on the album as he compares the stories of various friends and family members whose love lives are in crisis, with his own happy relationship. Gary Stewart leads on ‘Lovers And Losers’, which the pair wrote with Mack Vickery and Rex Huston. This is another depressed ballad with strings and a vulnerable vocal. There were some good songs on this mini-album, but it wasn’t a very commercial one. The pairing of Dean Dillon with Gary Stewart seems an odd one; often these types of collaborations are meant to garner some attention for a newcomer or revive the flagging career of a veteran. But in 1981, neither artist had the commercial pull to carry the other; Dillon was still a newcomer hoping for a breakthrough and Stewart’s career was on a downward spiral. 1982’s Brotherly Love did nothing to change the commercial fortunes of either artist, but nevertheless it is a good — though not great — collection of songs. Brotherly Love features duets as well as solo efforts by both artists. The title track was co-written by both artists and released as a single in advance of the album in 1981. The duet is not the Keith Whitley and Earl Thomas Conley hit that appeared a decade later. Rather it is about two brothers planning for a night out on the town with two sisters from the local honky tonk. Although pleasant, it lacks subtlety and is ultimately not very memorable. It was the album’s highest ranking single, peaking at #41. The uptempo “Play This Working Day Away” finds the pair trying to remedy their situations of all work and no play. It reached #74. It was followed by a pair of solo efforts from each: Dillon’s rather dull “You To Come Home To” which climbed to #65 and Stewart’s “She Sings Amazing Grace”, which is by far the best song on the album, despite petering out at #83. “Honky Tonk Crazy”, a Dillon co-write with Frank Dycus, will be familiar to George Strait fans; his cut was included on his sophomore disc Strait From The Heart which was also released in 1982. “Suburban Life”, about a pair of newly divorced men about to embark on a night on the town — trading “the suburban life for the bourbon life” is less rowdy than the lyrics suggest and for that reason it doesn’t quite work. What is perhaps the most surprising about this album is its reliance on outside songwriters. Dillon had a hand in writing only four of the album’s tracks, and Stewart co-wote two. I was expecting more original material, and perhaps some versions of Dillon’s songs that later went on to be hits for other artists, but in all likelihood he was still cutting his teeth as a songwriter and many, if not most, of his most memorable songs were still to be written. Overall, the material on Brotherly Love isn’t quite as strong as it ought to be, but the production — though a bit dated — isn’t as heavy-handed as most of Nashville’s output during that era. Brotherly Love wasn’t a huge commercial success, but Dillon and Stewart paired up for another collaborative effort Those Were The Days the following year. Both albums are available on a 2-for-1 disc, but the $20.99 price tag seems a little high considering that neither album produced any major hits. What happens when you pair the best male country vocalist of the last 35 years with the reigning Queen of bluegrass music ? You get the best album that will be released in 2011. I can think of no recent duet album that I’ve enjoyed as much as this album. Released on the Upper Management Music label, this album contains the warning ‘Contains REAL Country Music’, and truer words never were spoken. Although Rhonda is a bluegrass artist, and there are touches of bluegrass on a few of the tracks, this basically is a modern traditional country album, with fiddles, steel guitar and truly outstanding vocals, both individually and in harmony with each other. The title cut is probably the weakest cut on the album. This isn’t to say that Gene and Rhonda don’t sing it well, because they do, but the song itself is nothing special. The next two tracks “Gone For Good”, a slow ballad about breaking up, and “It Ain’t Nothing New” a mid-tempo ballad co-written by bluegrass legend Larry Cordle, are both really good songs, and on many albums they would be the standout tracks but on this album they are merely the hors d’oeuvres. 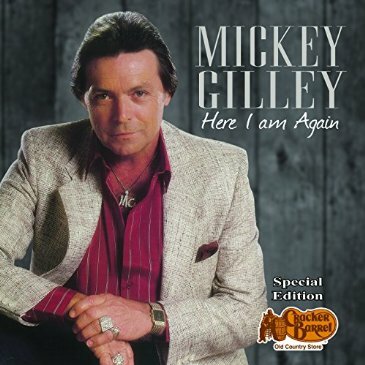 With the fourth track the album shifts into overdrive with a cover of Gene Watson’s 1976 hit “You Could Know As Much About A Stranger”. I had never thought about this song as a duet, but it works really well, as Gene and Rhonda trade verses and duet on the choruses, accompanied by a lightly updated version of Gene’s original backing. From here the album covers a 1977 hit written by Cathy Gosdin for her brother Vern Gosdin, “Til The End”. Covering Vern Gosdin is a treacherous task at best, and while I regard Gene Watson as being the superior overall vocalist, Vern Gosdin had no peers at singing melancholy slow ballads. Still Gene and Rhonda do an admirable job on the song. The Billy Yates-penned “Alone Together Tonight” is a clever twist on the theme of a lonely boy and lonely girl in a honky-tonk. The melody reminds me of the 1982 John Anderson hit “Would You Catch A Falling Star”. Next up is a cover of Gary Stewart’s 1974 hit “Out Of Hand”. The arrangement and instrumentation are very similar to Stewart’s recording, but with very slight alterations to the lyrics, it makes a very successful male-female duet. “This Wanting You” was co-written by Bruce Boulton, T. Graham Brown and Bruce Burch. I don’t recall the song being issued as a single but it was one of the standout tracks on TGB’s 1988 album Come As You Were and also appeared on a Bruce Burch collection. “Making Everything Perfect Tonight” was penned by Rhonda Vincent, a spirited mid-tempo romp about life and one of the joys of domestic life. “Sweet Thang” was a top five for its author Nat Stuckey in 1966; however, no one remembers Nat’s version anymore because of the spirited version done by the dynamic duo of Ernest Tubb and Loretta Lynn the following year. While the ET-LL version wasn’t a big radio hit, it was a popular concert favorite for years to follow. Gene doesn’t have quite the same degree of ‘rascal’ in his voice that Ernest did, but his vocals are better. Saving the best for last, Gene and Rhonda demonstrate their blues chops on the old Hank Williams classic, “My Sweet Love Ain’t Around”. The track runs over five minutes so even in the good old days, it wouldn’t have received much airplay. I referred to Gene Watson as the best male vocalist currently performing in country music today but Rhonda Vincent may be the best female vocalist in country music, although most of her efforts have been focused on bluegrass. Rhonda had a crack at becoming a mainstream country star on Giant Records back in the 1990s but was let down by the material the label foisted off on her. Carrie Underwood should listen to this track, as she could learn a lot about singing from Rhonda’s vocals on this track. Carrie has a vocal range very similar to Rhonda’s but with much less command and control of her vocal abilities. There actually is a ‘bonus track’ on the album, a bluegrass instrumental “Ashes of Mount Augustine, featuring Michael Rojas, Stuart Duncan, Mike Johnson, Michael Rhodes and James Mitchell. This album won’t be released until June 6, 2011. By then I will have listened to the album a couple dozen times !